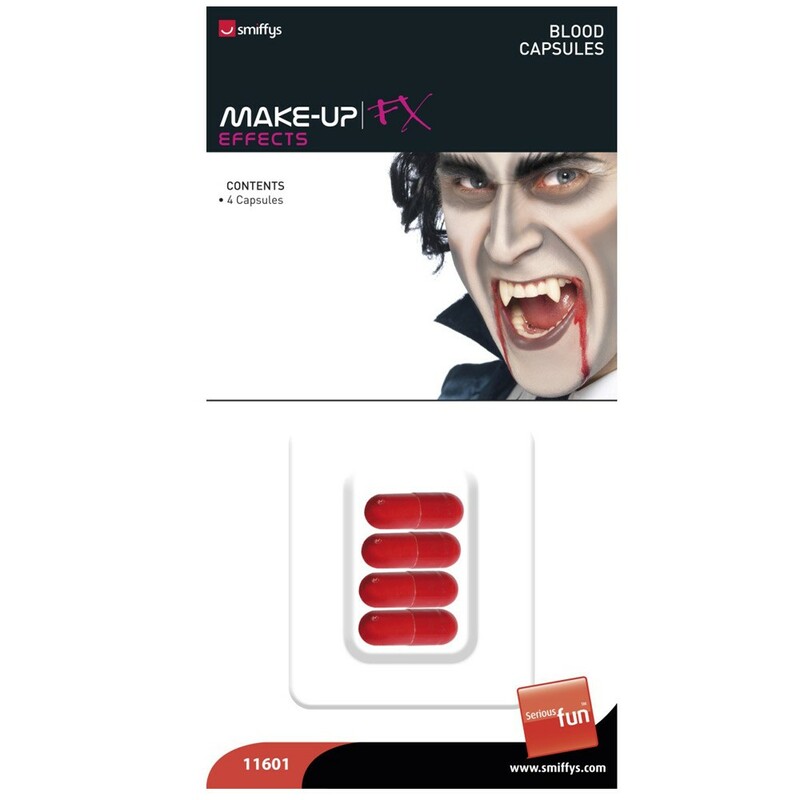 Create a jaw-dropping look with the help of these brilliant Blood Capsules, the perfect accompaniment to any Halloween outfit! Learn the trick of the trade of a Vampire with these excellent Blood Capsules, the perfect addition to any Dracula, Halloween or Horror inspired fancy dress costume. A set of four capsules; all you need to do is bite in to the capsule lightly and allow the blood to flow. Suitable for almost all Halloween costumes; these Blood Capsules are almost a requirement if you want to make your costume look the most realistic! Please note: For Adult use ONLY.